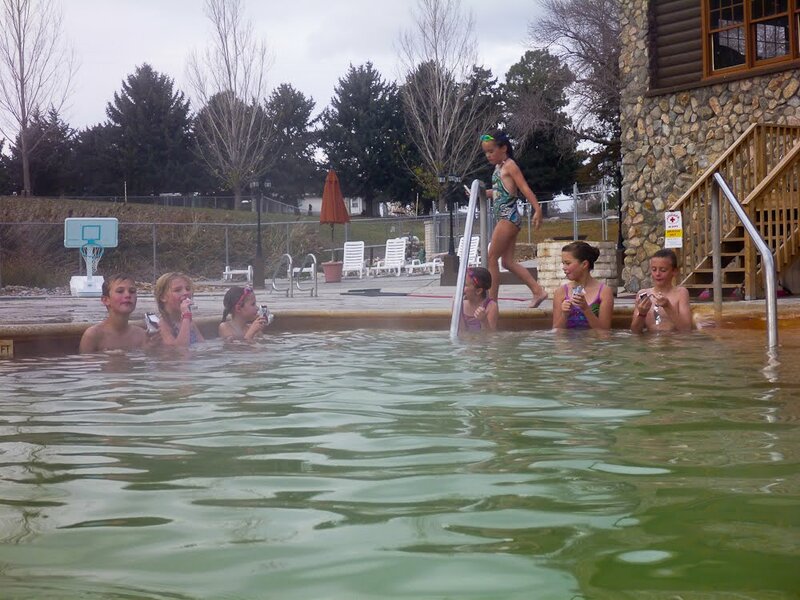 Have you ever been crazy enough to go swimming in an outdoor pool in the middle of a snow storm or the morning after? We make it an annual tradition. 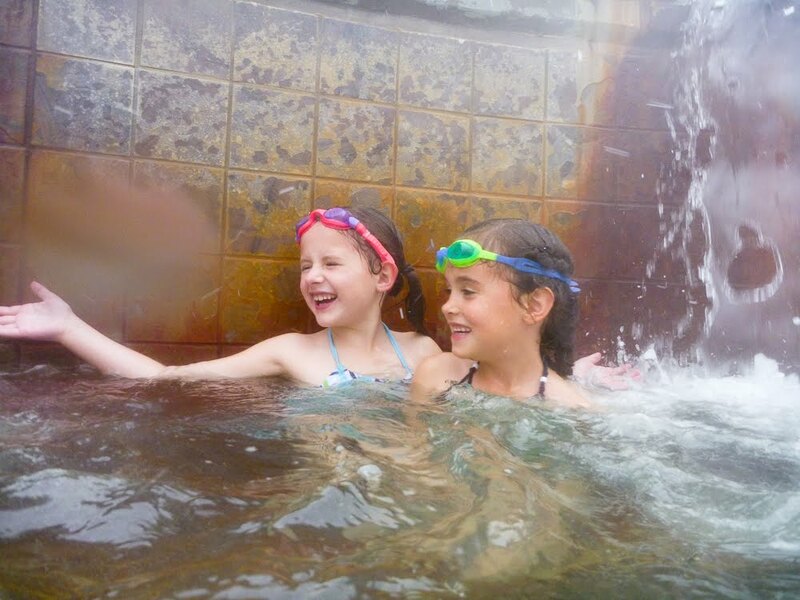 Crystal Hot Springs in Honeyville is a natural mineral hot springs resort. There are water slides, lap pools and 3 very hot tubs and a pleasantly hot pool. The only pictures you will see from our winter visits of the hot springs is from inside the water. Cause it is WAY too cold to stand around snapping away. This was the first time Jade did the water slides and she loved it. Ivy just has a blast hanging out and playing in the water. This year we went with our friends, the Ridings. Scott's parents also joined us a little bit into the soak. It was wonderful to just sit and visit without feeling like there were other things we needed to be doing. A couple quick pointers - 1) Don't wear a white swimsuit. The minerals can stain it yellow. 2) Make sure you rinse off really well after or you will be itchy. 3) Bring a bottle of water with you otherwise you will get dehydrated. 4) The kids LOVE getting an ice cream. Really, who wouldn't think it was cool to eat an ice cream outside in the snow while swimming?